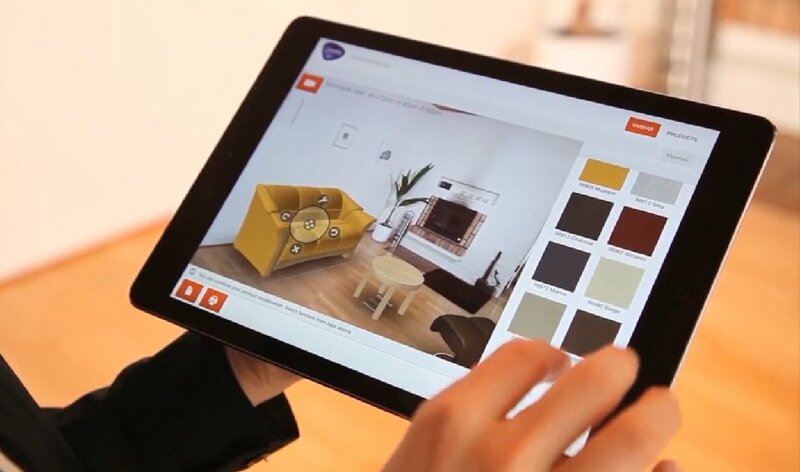 Virtuécor™ is an AR-enabled app that you can use to digitally furnish a vacant space indoors or outdoors with furniture items available for selection and placement. You can also use Virtuécor™ to add items of décor to an existing furnished space. All the items must first be made as digital assets ready for use. Virtuécor™ app is purpose-made for each application to the requirement of a business. For large deployment that involves many furniture items and other items of décor, the digital assets for the items would reside in a cloud-based server that support the operation and use of the app by a consumer in a physical location/situation.